Set in London, this apartment features free WiFi. The unit is 1 km from Victoria Park. The unit is equipped with a kitchen. Towels and bed linen are provided in this apartment. Brick Lane is 1. 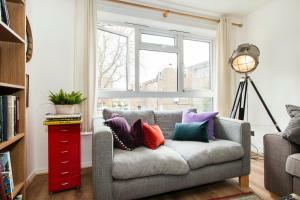 See all Lovely 3 bed in Vibrant East End reviews..